Clash Royale debuted this week, and while Jim and Shane are enjoying the game, they’re not enjoying how it was featured. Hear them whine about how the Apple editorial team went hog-wild in featuring the game, and then tell them to grow a pair by tweeting them at @elephantirish. 00:30 - Shane is playing Blackbox. Jim is too dumb to play it, but says it sounds a lot like Progress to 100. 04:58 - Jim is reliving his childhood love of Civilization with the new indie game Super Tribes. 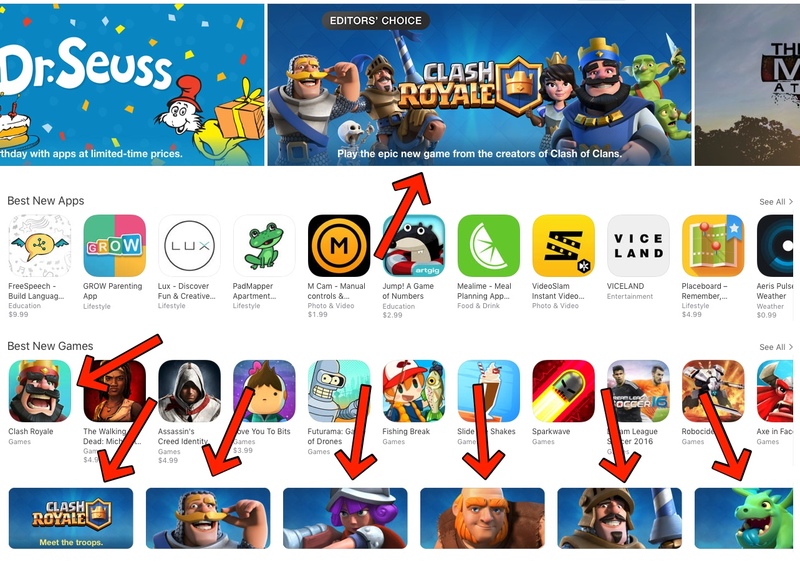 08:38 - Clash Royale is out this week, and Apple seems to like it. A lot. (That image is courtesy TouchArcade’s Clash Royale review). 18:00 - Fugl is a voxel-based bird simulation from Johan Gjestland (the creator of Melodive), and Shane is playing an early build. 21:32 - Twilight Struggle is finally coming to the iPad this April, and Jim is excited -- but he’s also bummed about the lack of AI at launch. 26:03 - Shane and Jim pick their mobile gaming essentials for the week. This time around they’ve both picked new platformers with old school inspiration: Sword of Xolan and Kero Blaster (and this led to chatter about a third pick in the same genre - Potatoman Seeks the Troof).